The sensor module DHT11/DHT22 is used for measuring temperature/humidity. 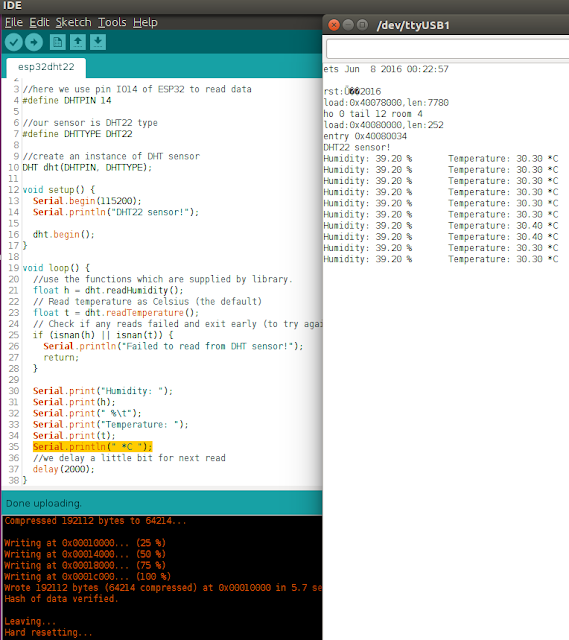 In this tutorial, we will learn how to use Arduino ESP32 to communicate with DHT11/DHT22 (this can also be applied for DHT11) to read value of temperature and humidity. Note: If you already opened Arduino IDE, you need to restart Arduino IDE to get effect. readTemperature(bool flag): If argument flag is true then the temperature read from sensor is Fahrenheit value. If argument flag is false then the temperature read from sensor is Celsius value. Since the sensor is slow, so we need a delay (about 2 seconds) between measurements. //use the functions which are supplied by library. You have a small error in the Hardware section. You have defined ground twice, and missing VCC/3.3V. 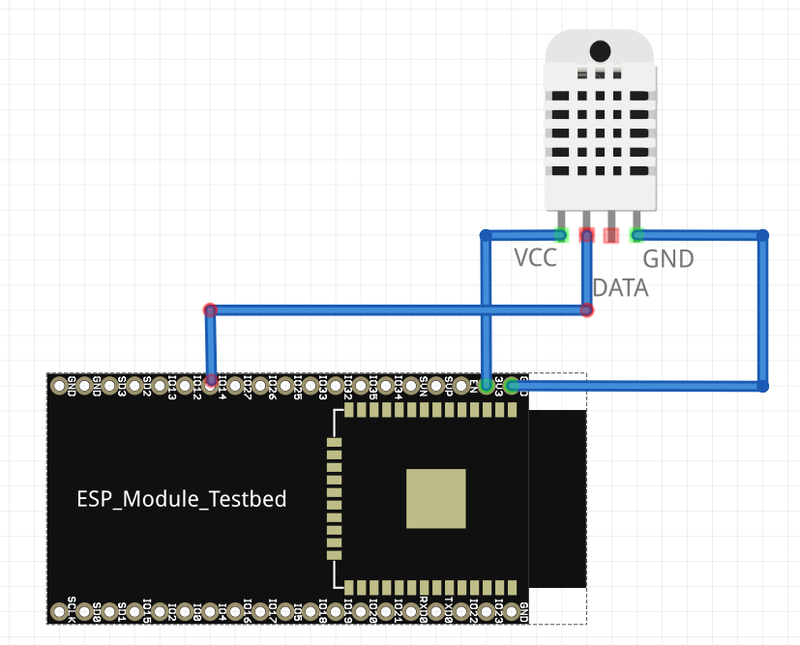 Hello, Your post was very helpful, but when I upload the sketch to the ESP32, I just get a constant "Failed to read from DHT sensor" message. The pins are connected properly. Any advice? Thanks for sharing the tutorial of DHT11/DHT22, anyone can understand easily about installation and usages. I am looking for best External Temperature Sensor, which can help me everywhere.